Marcin Iwiński of Polish studio CD Projekt Red says the omission of Poland from the list of countries supported by the Xbox One at launch is "a sad situation." You will no doubt recall yesterday's news that the Xbox One will only have Live support in 21 countries at launch, meaning that Microsoft's forthcoming console, thanks to its reliance on a daily connection to the internet, won't work anywhere else. 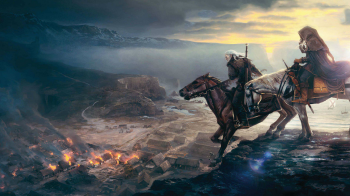 We noted in our report that among the countries not on the list was Poland, a noteworthy fact because Poland is the home of CD Projekt, the creator of the vaunted Witcher RPG series - the final chapter of which made a pretty big splash at E3. As it turns out, nobody at CD Projekt had any idea that this was going to happen. "I was just in a restaurant and saw the list," Iwiński told Game Informer. "I was surprised, and I really hope that it isn't final. I think Polish gamers will speak out loud. From my perspective, it's a sad situation." The Xbox Support twitter account suggested yesterday that the list of supported countries could grow prior to the launch of the Xbox One but right now, this is just one more bit of ugliness in an E3 that really hasn't gone Microsoft's way.